Ciao lovelies! Today for kawaii Friday, you all voted over on our Instagram, and wanted to know my top 5 kawaii Hatsune Miku songs! For those of you that don’t know, Hatsune Miku is a Vocaloid, a “singing voice synthesizer software” (Thanks Wikipedia!). There are many Vocaloids with different voices and designs. They sometimes even give concerts in Hologram form! 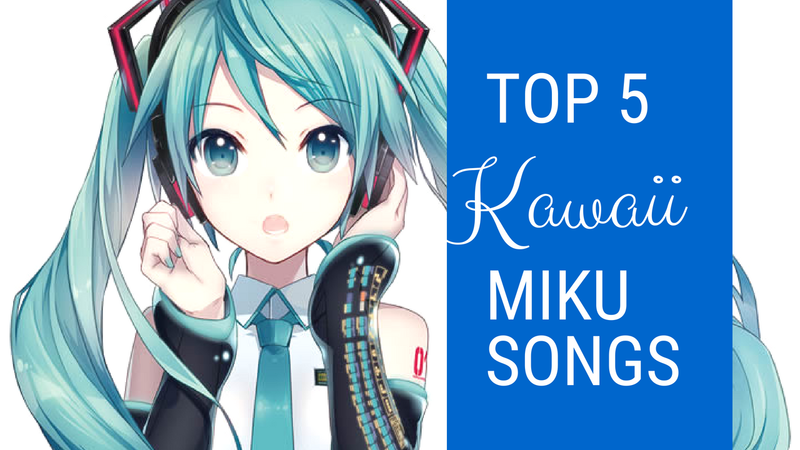 Today I will be sharing, in no particular order, my top 5 kawaii Hatsune Miku songs. These songs either feature Miku prominently or are entirely just her. This makes me so basic I know but I was obsessed with this song as a teenager, and can still sing it! This song is about a stubborn girl that wants to be treated like a princess, and expects no less (though I like to interpret the ending that she becomes less spoiled slowly!). This song is, to my best knowledge, about how love can set you free? If I’m wrong, please let me know in the comments! It is super cute and I love it a lot. This song is fronted by both Miku and Kagamine Rin. This song is about them hoping to find love on the beach during the summer! And in the end they fall in love? Or Maybe not. They kind of shake off the idea. This song is about dancing away your problems with a friend/partner. Its super cute and high energy. This song is about a girl who lives for the weekend! (Pretty obvious from the title). I love this song as I feel the same way when I'm at school. So those are my 5 Kawaii Miku songs! I like many others but these are the ones I could think of off the top of my head.